Federal safety regulators reported this week that the collision-avoidance system on the tractor trailer that smashed into a limo carrying comedian Tracy Morgan may not have alerted the fatigued Walmart driver before the crash. However, it could be that the data regarding the alert was not recorded due to system limitations. The Walmart big rig slammed into the limousine on the New Jersey Turnpike last summer, seriously injuring Morgan, seven others, and killing another. The finding, which was in the National Transportation Safety Board’s causation report on Aug. 11, has puzzled investigators. This was the first crash ever with tractor trailer that was equipped with a collision-avoidance system. 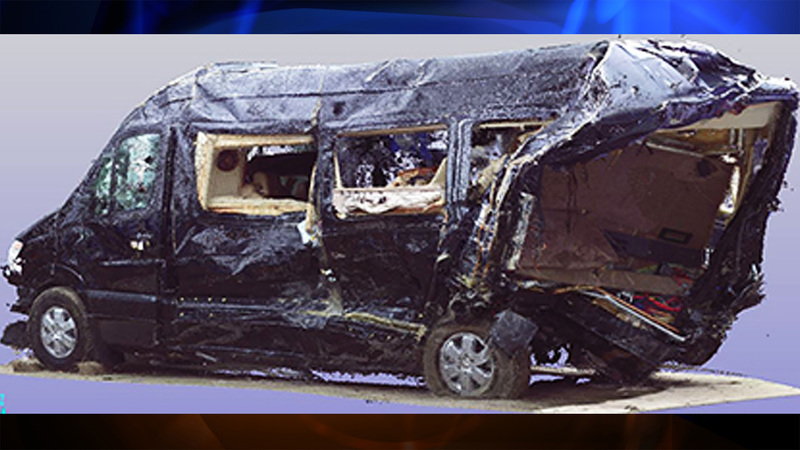 The NTSB reported that the system failed to give a pre-crash alert to the driver. However, the NTSB cautioned that it was possible that the alert was sent, but it may not have been properly recorded. Jennifer Morrison, the NTSB’s lead vehicle-factors investigator for this crash, stated that the agency still is a strong advocate for the systems. She noted in the report that the collision-avoidance system did not fail. The agency still supports making such systems mandatory for large trucks. Also, she believes that 80% of rear end wrecks could be avoided or made less damaging by using the systems. Only about 3% of the three million Class 8 trucks on the road have anti-collision devices installed. It appears that the problem in the accident was the fact that the Bendix Commercial Vehicle Systems’ Wingman device only recorded data every .5 seconds. The 10 data points available show no data that the alert was sent, but it is possible that the system did help the driver to reduce the impact by alerting the driver to hit the brakes. The board did find that the Walmart driver did ignore warning signs to slow down for construction. He did slow the truck from 65 to 47 before the impact. If he had obeyed the 45 MPH speed limit, the board concluded that the crash could have been avoided. As experienced Virginia trucking injury attorneys, our legal team strongly advocates the installation of anti-collision systems in tractor trailers. We hope that this sad case is a warning to federal regulators to require the systems in all trucks in the near future, and to set standards on such systems so that we know for certain that the device functioned properly in an accident. Many of our truck accident victim clients could certainly have benefited if the trucks involved in those accidents had had such systems.